The Precarious Intersection of AI, Consumer Data, and Design. Over the past few decades, TEAGUE has designed at the intersection of travel and technology, helping bring both physical and digital solutions to life. In recent years, one of the things we’ve experienced is the topic of consumer data privacy is cropping up more and more as something that we're being asked to help tackle, or at least be cognizant of as we're designing new products. It’s become somewhat of an obsession for our team. 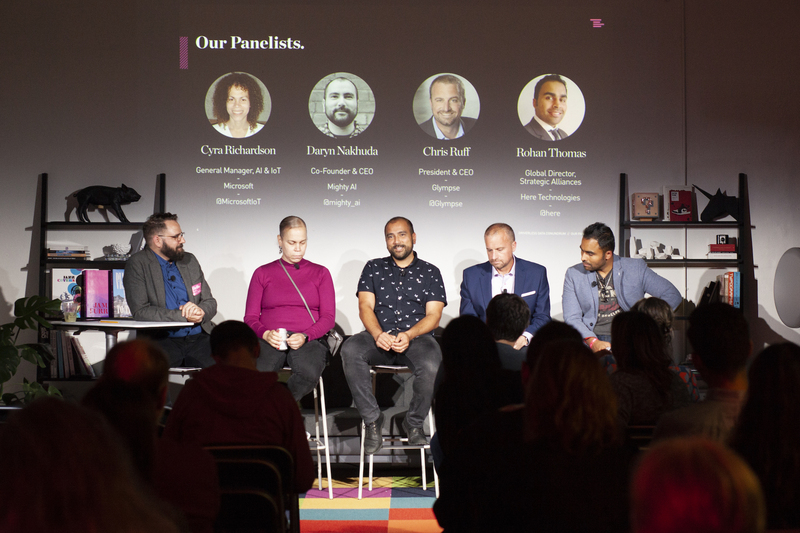 For Seattle Design Festival, we wanted to gather a panel of experts in the consumer data privacy space as it relates to AI and autonomous data collection and find out how they and their companies are tackling this massive, industry-shifting challenge. 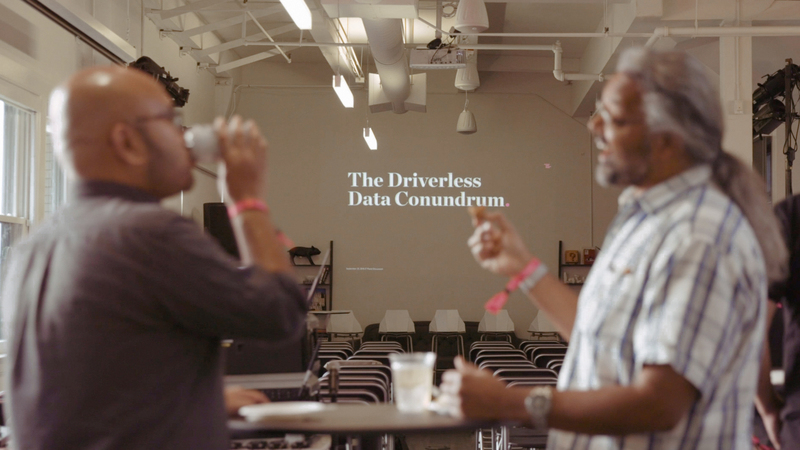 On September 20th, TEAGUE opened its doors to 80+ members of the community who shared our interest in this topic for what we called “The Driverless Data Conundrum”; a conversation featuring mavens on the front lines of AI and consumer data from Microsoft, Glympse, HERE Technologies, and Mighty AI. GDPR: The wrench in the cogs. Diving in with the difficulty of sorting through the massive amounts of data collected not only by the companies represented, but businesses worldwide, the panelists discussed the challenge of attuning their business and data collection policies for the newly introduced GDPR regulations. The implications of GDPR, all panelists noted, weren’t just in Europe for their residents or businesses, but worldwide. Chris Ruff, CEO and President of Glympse, gave an example of working with a European company that was setting up a roadside assistance service in Mexico, but even there, it was universally required to tick off the GDPR compliance box. “That's the biggest challenge is setting one level of security that may not be a global standard yet, but regardless of where the data is coming from, now you're trying to keep your company in the right position liability wise, risk wise, etc. The complexity of these new standards that we must meet are all different in different parts of the world. Companies, governments, consumers: Who’s responsible? When it came to responsibility for data collection and usage, the panelists discussed a future where both global governments, companies, and individuals themselves would need to take responsibility. “To me is it really reminds me of a lot of the tax laws.” Richardson notes, in regards to different rules and regulations across the globe. “When you start working in commerce, you see all these different tax rules about where the transactions originated from, where it's cleared, and so I think we're going to start to see something really similar in the privacy space. And it really speaks to this need to have a really flexible platform that lets you arbitrate lots of different aspects like scope, who can look at it, who can use it, how you can consume it. I'm expecting to see some of this legislation in the U.S. sooner rather than later as well.” she concludes. 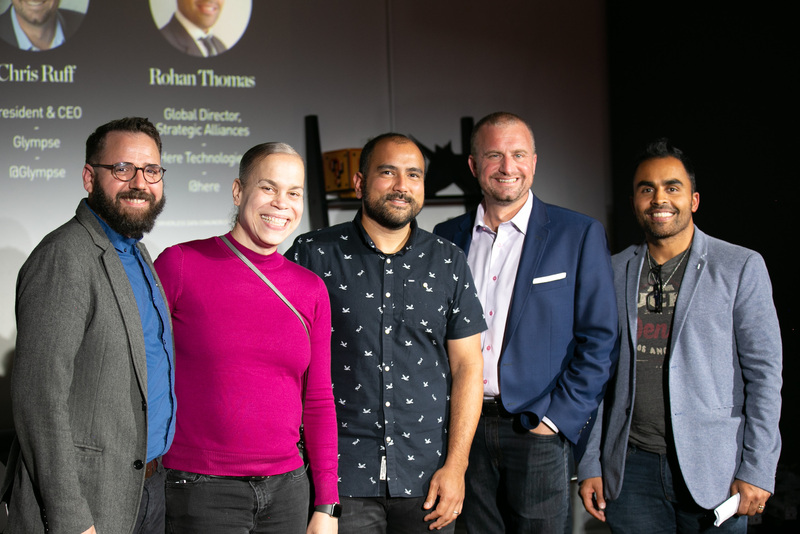 Rohan Thomas, Global Director of Partnerships for HERE Technologies, argues that companies need to be fully responsible for the data they’re collecting and managing, and relieve the burden from the users, who are starting to experience fatigue in this arena. “The conversation that we’ve been having is taking privacy to heart. Not only do we have a Chief Privacy Officer or Chief Data Officer, but our CFO is the privacy owner for the whole company, whereby he takes a personal stake to say that, ‘Privacy is going to be the center pillar of this company, how we build our products, and how we bring things to market.’"
The ultimate question: How do we get there? “I have a kind of schizophrenic answer to this.” chimes in Richardson, “On the one hand, I think about all the data that we have in medical records. If we could harvest the data and medical records, we could test drugs before they've gone out. Think about the $866 billion a year we pay for chronic disease management; imagine using data to cut that in half. “Something we think about often is privacy-as-a-service. If you have something like that type of information available designed in a consumers friendly way, I think that would be a good start.” he concludes. Design + transparency hold the key. By the end of the evening, it was clear our panelists agreed on one thing: The future of consumers feeling comfortable with their data being harnessed and used by companies or governments begins, fundamentally, with transparency and great design. We couldn’t have said it better ourselves. You can watch the full recording of the evening’s discussion above, or here on Vimeo. And, if you want to learn more about TEAGUE’s ever-evolving thoughts on data and design, you can get in touch with our team at hello@teague.com.